Posted on 01-23-19 at 3:05 p.m.
A growing number of companies are looking to personalize communications to their customers in order to increase relevance by targeting the right people, at the right time, with the right content. While personalized communications hold the promise of increased benefits (higher conversion rates, positive impact on brand image, increased loyalty and, ultimately, increased revenue), the risks associated with low or poor personalization are just as tangible. The main issue is that too many marketing professionals still approach "one on one" communication with a mass communication mindset. When two of the key objectives consist of maximizing the number of mailings and minimizing creative costs, personalization is automatically relegated to the background. A quick Google search for email and newsletter opening rates leads to dozens of sources, with rates ranging from 15% to 45%. Some even claim that opening rates higher than 25% are a resounding success. But seriously, can brands afford such poor performances? And most importantly, why are opening rates so low? We asked the main stakeholders: consumers. 2,189 Canadians were questioned about their attitudes and behaviours regarding branded newsletters and emails. The results follow. Of all branded communications received personally, Canadians report an average opening rate of 45%. A very honourable rate, one could argue. But in fact, it is nothing less than an admission of failure. It cannot be considered normal that over half of Canadians reject emails from your brand. Keep in mind that if your consumers receive your targeted communications, it's because they have expressly agreed to do so. And the reason we choose to send out personalized communications is precisely to avoid this type of waste. Especially since the negative repercussions of a low opening rate are very real for brands. Let's look at this from a consumer's perspective. What happens when such a communication is received? The answer is somewhere between certainty and hesitation. Half the time (51%), the identification of the sender is sufficient to decide to open the communication, or not. For the other half of emails received (49%), consumers hesitate and review the email's subject line before choosing whether to read it or trash it. The following illustration summarizes the poor performance of email communications, as things currently stand. The total opening rate is partly composed of e-mails opened spontaneously by consumers, at the mere sight of the sender's name. It is easy to conclude that these e-mails are appreciated and expected by consumers, and therefore very effective. The spontaneous opening rate represents the level of trust and relevance you have succeeded in building with your consumers. In the field of targeted and personalized communications, this is the ultimate sign of a "loved brand". The conscious opening rate represents the e-mails opened after consulting the subject line, when the sole mention of the sender's name is insufficient to prompt this action. These emails ultimately reach their target and contribute to building a bond of trust and relevance. 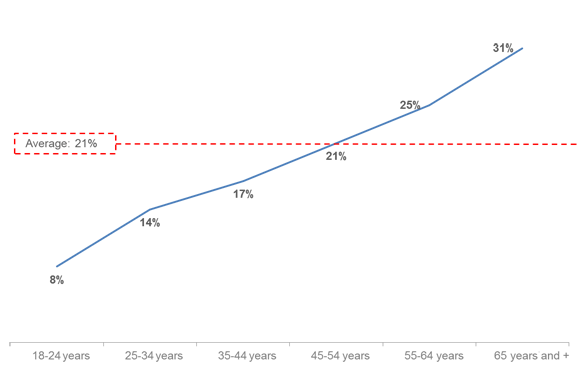 The conscious opening rate represents the level of relevance of your communications. It should be interpreted in comparison to the conscious rejection rate. The conscious rejection rate represents the emails that will ultimately be trashed after hesitation and viewing the subject line. These emails generate little or no interest among your consumers. They have a negative impact on the perceived relevance of your brand, because they are the result of overly broad targeting or poor personalization. The conscious rejection rate should be considered a red flag, especially if it exceeds the conscious opening rate. 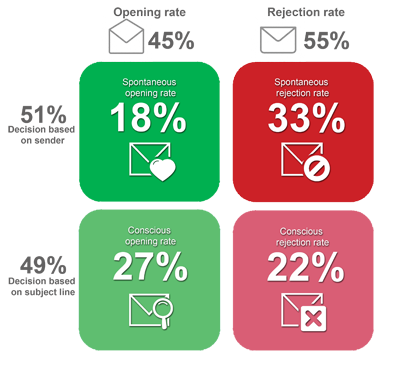 The spontaneous rejection rate includes all branded emails that have no chance of reaching their target. They are systematically rejected at the very sight of your brand name. This is akin to a colleague that no one wants to invite at their Christmas dinner table. • Either it is the result of an acquisition campaign that is far too aggressive and poorly targeted. In all cases, the spontaneous rejection rate represents the "surplus weight" of your brand's consumer database. And since the Holiday season is a perfect time for resolutions, I encourage you to analyze the perceived relevance of your brand's communications, and to set goals for improved performance in 2019. A high spontaneous rejection rate should encourage you to seriously consider streamlining your database, as it will often lead to a wave of unsubscriptions. 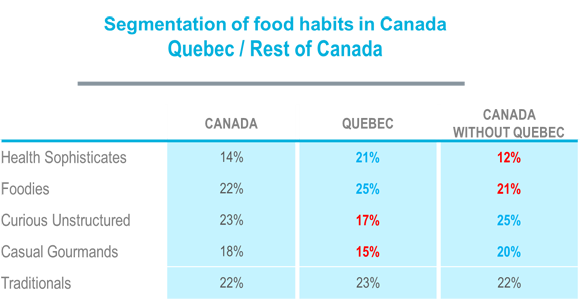 Over the last six months, half of Canadians surveyed said they have unsubscribed from mailings of at least one brand. In terms of dissatisfaction, 50% is nothing short of a disaster: this means that half of the population receive brand communications that they no longer want to receive. Some will say that this is a harmless, normal correction, because many consumers subscribe frantically to all kinds of things, only to realize their mistake later. However, without knowing the reasons for unsubscribing, it is impossible to draw accurate conclusions. Why are consumers breaking free? Clearly, consumers are telling us that they receive too many personal communications from brands. And all this "spam" is counterproductive for our industry. Not only are they claiming that they receive too many e-mails (43%), they are also saying the we don't know them well enough and that their evolution as consumers is not recognized (42%), that our communications are sorely irrelevant, and that they are both useless and annoying (29%). It is also important to note that one in ten Canadians (10%) unsubscribed while being convinced that they had never agreed to receive such communication from the brand in the first place. This is not about compliance with Bill C-18, but rather about building a relationship based on relevance and honesty. It's quite possible that many of them simply forgot that they had subscribed. But the lack of relevance of the communications will have exhausted both their tolerance and their memory. It is interesting to note that this percentage varies greatly from one brand to another. In fact, among the brands with the highest personalization scores, only 5% of consumers say they have never consented to receiving communications. Conversely (you can see this coming! 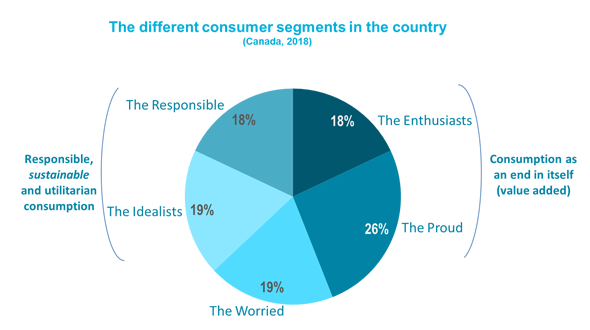 ), this percentage rises to 31% for brands with the least relevant communications. But the most pernicious effect of brand communications that are deemed irrelevant by consumers is its effect on their opinion of brands. A good personalized communication strategy will bring an average positive difference of +37 on brand evaluation. On the other hand, a brand guilty of implementing a poor strategy will suffer great damage to its sympathy capital (negative difference: - 24). Generally speaking, the type of content consumers want from brands is strikingly similar to Maslow's pyramid. Personal communication (as opposed to mass advertising) appears to find legitimacy in the value it offers consumers. This is the most democratic type of content, with four in five Canadians (79%) expressing a desire to receive a variety of promotional offers. 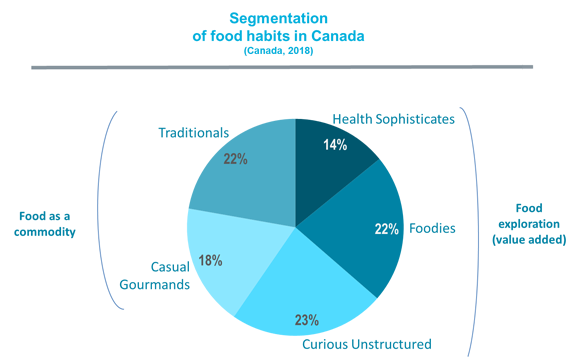 The middle levels include, respectively, informational communications (58%) and product recommendations that they may find interesting (31%). Finally, the creation of pure content (journalistic in nature and not directly related to the brand promoting its products/services) is at the top of the pyramid (18%). Your targeted communication strategy should therefore differ from your overall communication strategy; first and foremost, it should be based on a creative strategy aimed at creating tangible value for your consumers. Obviously, any form of discount qualifies for this category. However, it is not necessary to give up profits to meet your consumers' expectations. A VIP status with different benefits will be equally appreciated. Secondly, your targeted communications should meet informative needs: new arrivals, modified opening hours, etc. Quickly, however, you will need to get to know your consumers better, as their expectations of your targeted communications will increase. You will need to demonstrate that you are making the necessary efforts to be relevant in each of your communications. Ultimately, once you have achieved this status of trust and relevance, you will be able to easily customize your product recommendations to your consumers, and you can expect much better conversion results. 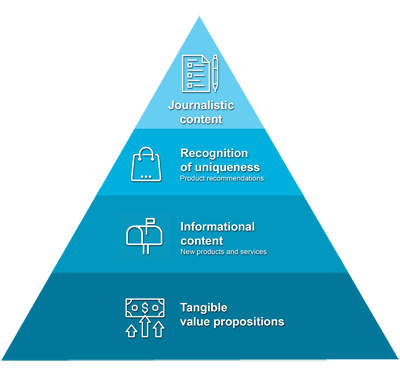 Finally, as your brand becomes legitimately recognized as an "expert, your can also develop a journalistic content strategy (and deploy it in a personalized way), thus completing the picture by broadening the communication base with your consumers. At this point, you will no longer be talking about your products per se, but your editorial line will focus on sharing your brand values, establishing an emotional connection with your audiences, and positioning your brand as an undisputed leader. Not surprisingly, when it comes to preferred media, email is by far the dominant option with 90% of mentions. However, postal delivery ranks surprisingly high, as the preferred media for 21% of Canadians. Obviously, age is an important factor in assessing this statement, and this percentage is but an average. 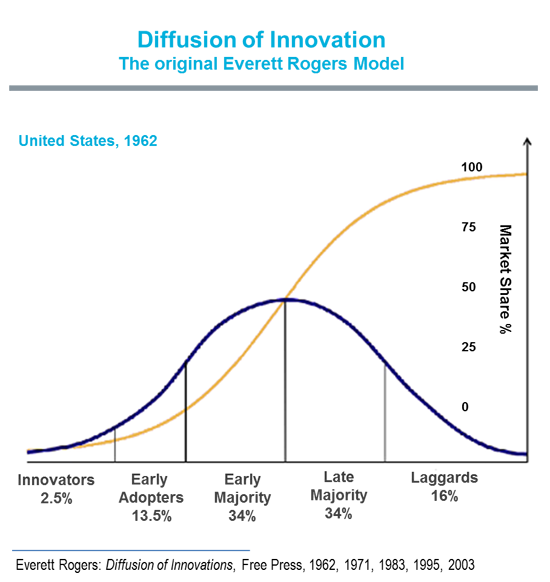 Note that there is a direct correlation between the two variables. Perhaps one could say that "rumours of the postal service's demise have been greatly exaggerated". As of now, sure. But in the long run, it will likely follow the same extinction curve as printers, land lines, cars that run on gasoline and other "technologies" from the past century. Especially since other communication channels available to brands generate little enthusiasm: traditional media (radio, TV, out-of-home) and text messages rank third with 9%, followed by social media ads at 8% and smartphone notifications at 6%. As for web banners, with a measly 3%, they should soon join the QR code in the cemetery of "marketing innovations". Finally, with respect to format, short text with pictures seems to be the preferred format, with 57% and 48% of mentions respectively. Only one-third of Canadians prefer more sustained copy. Finally, video trails the pack with a low 10% mention. But don't dismiss video entirely, as it remains a highly appreciated format, except in the context of an email, where it is relatively unpopular. While a good personalization strategy can have positive impact on your brand, it would be foolish to believe that it can mend your relationship with consumers who have already written you off. Indeed, Canadians' interest in personalized communications decreases drastically for brands that have abused generic email messages, and who may now be perceived as completely irrelevant. Purchasing history is often the first source of information that communications professionals will turn to when they want to initiate a personalization strategy. But be aware that one in three Canadians (32%) express discomfort with such a strategy. However, the acceptability index of this approach remains one of the highest (+21). Needless to say that using people's browsing history will generate a highly negative reaction in 40% of respondents (index +9). Finally, geolocation represents is the epitomy of unacceptable "spying", as 61% of Canadians are against this type of indiscretion (index -22). In the end, the inherent transparency of a survey remains the most acceptable approach to learning more about your consumers, as three in four Canadians (76%) agree with this practice (index of +33). Be honest with your consumers and explain why you are interested in them. They will be grateful and their relationship with your brand will be stronger. The best way to effectively define objectives is to establish an overview of the current situation, and to be able to compare yourself. Get to know your consumers better as individuals. Make sure your communications are relevant to increase your brand's "love score". Otherwise, your brand image will suffer. Identify your best customers, show them some respect and develop a trusting relationship. For those consumers who seem uninterested in your mailings, reduce the frequency of communications until you find out more about them. What your consumer finds interesting today is not necessarily what he/she will find interesting tomorrow. Acknowledge their evolution and provide them with the opportunity to share it with you. Define what your consumers find acceptable. Don't invoke the law or your existing business relationship to "spy" on them. Give them the opportunity to explicitly accept the information you may use. And above all, explain your intentions. If you are considering personalization, do it before your brand is considered irrelevant, as an eventual reconciliation with your consumer may prove difficult.